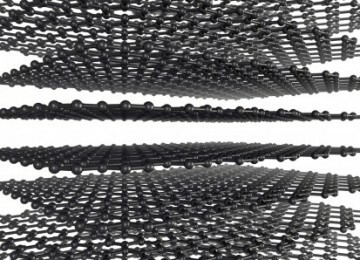 Ever since Andre Geim and Konstantin Novoselov used sticky tape to peel graphene off of graphite and measured its superior electron mobility, researchers have explored higher-tech ways to make sheets of the wonder material. But they have yet to come up with a simple method that produces pristine sheets and lends itself to mass production. Wataru Norimatsu from Nagoya University, Japan, and co-workers now show that one of the most promising methods for mass production of graphene epitaxial growth on silicon carbide can yield higher-quality graphene sheets if a rapid-cooling step is added to the technique. 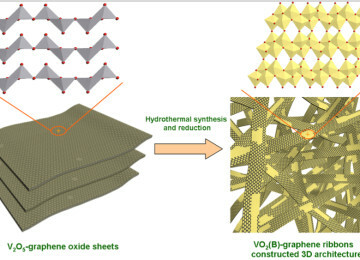 Epitaxial growth of graphene on a silicon carbide substrate involves heating the substrate to a high temperature, which drives silicon atoms out from the substrate surface and leaves the remaining carbon atoms arranged in a layered structure. 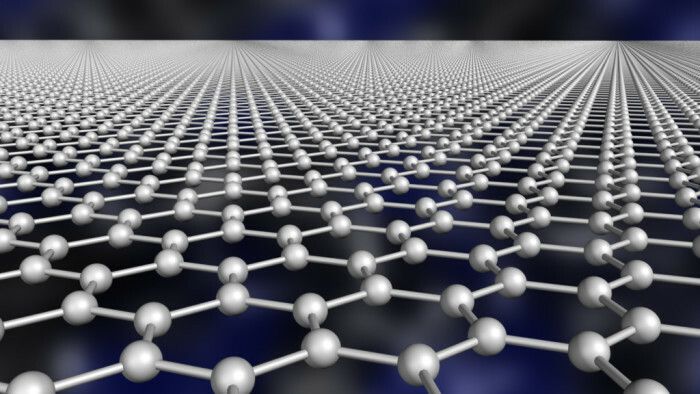 From bottom to top, the structure comprises the substrate, a so-called buffer layer, and one or more graphene sheets. 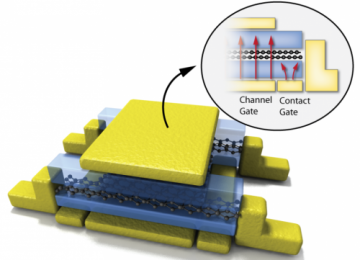 The buffer has a graphene-like honeycomb lattice but is electrically insulating and introduces electron-scattering mechanisms that reduce the electron mobility of the overlying sheets. It is therefore usually removed. Norimatsu and colleagues demonstrate that a simpler alternative to this removal is chilling the structure rapidly to liquid-nitrogen temperatures. 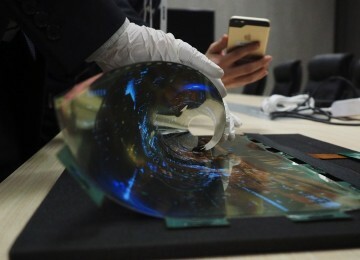 Examining structures with and without graphene sheets, they showed that the cooling step turns the buffer into an electrically active graphene sheet. Moreover, they found that a structure with about ten sheets displayed a threefold increase of electron mobility when cooled. 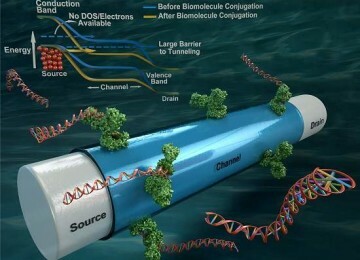 This occurs because the buffer and graphene expand on cooling, while the substrate shrinks, resulting in the breaking of the chemical bonds between the substrate and buffer that hamper the buffer’s electrical properties.